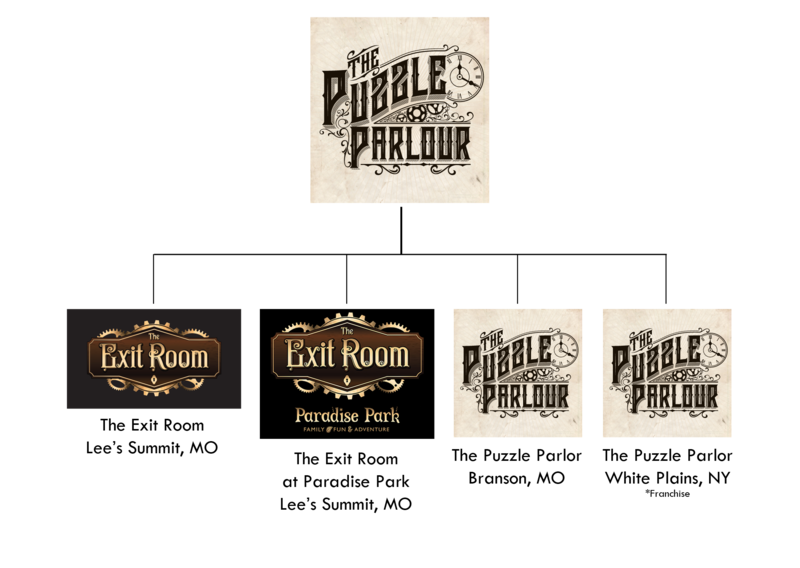 The Puzzle Parlour or The Exit Room? What the heck is The Puzzle Parlour? Back when we first started, and in the course of trying to name our baby business, we came up with The Exit Room. It seemed like a good fit. We have rooms. The goal is to solve all the puzzles and to “unlock” the door and, well, exit. And don’t get us wrong, we still love our name. But, as we looked into expanding our business and all the legal stuff that goes with that, we decided to change our overall name so that all future endeavors will be under The Puzzle Parlour. The overseas trip of a lifetime takes a sudden turn when you awaken in a dark, dismal surgical room. As your head begins to clear, one thing is certain: you must escape before those that placed you there return! Your nefarious gang of thieves has been targeting First Loyd’s Bank for months, and you just found a way in. Breaking into an employee’s apartment is the first step, but making your way into the bank may prove to be much more difficult. The famous adventurer and archaeologist, Clive Plitger, has died, and his collection of treasure and artifacts is now up for grabs. Can you find the treasure’s hidden location and escape before Plitger’s enemies arrive and take it by force? Strange happenings are afoot at Castle Ravenloft. Rumors of the undead circle around the mysterious castle’s inhabitant, Lord Stracht. Do you dare enter to discover the secrets the castle holds? You are part of the special FBI team, The Grey Project. Its mission: to investigate extraterrestrial phenomenon across the nation, and this may be your biggest case yet. The question is, are you willing to believe the truth once you find it? Taking your family out for mini-golf and go-karts? Why not throw in an adventure! We have two adventures to choose from at Paradise Park. Patterson Menck, the controversial author and renowned Sasquatch hunter, is missing. Is it possible that he has actually discovered proof of the existence of Bigfoot? You have traveled to his remote cabin in the far northwest to investigate the truth behind his claims. Oh no! Did you just hit reply all? That snarky comment wasn’t meant to go back to everyone. Follow your clues through the adventure of puzzles to help you recover the email you should not have sent. It’s a scavenger hunt you’ll never forget. Our newest location is opening soon! Located in Branson, Missouri, we will have two amazing adventures, with more adventures to be added. We’re really excited about this newest venture! Patterson Menck, the renowned Sasquatch hunter, is missing. Is it possible that he has actually discovered proof of the existence of Bigfoot, or is it all a hoax? You have traveled to his remote cabin in the far northwest to investigate the truth behind his claims. Beware what you find lurking in the woods! This is an another take on the adventure of the same name located at our Paradise Park location. Your nemesis for years, Dr. Scorpio, has always evaded your team of secret agents. This time, you have the upper hand. Armed with a computer virus, your team plans to infiltrate Dr. Scorpio’s lair, plant the virus, and escape before his “Operation Chaos” plans come to full effect. Will this be the mission where you finally catch Dr. Scorpio? This is the franchise that made us national! The rooms at the New York location are similar to rooms at The Exit Room (the names of some have been changed to protect the innocent… or something like that), but just because you’ve done one location doesn’t mean you know the twists and mysteries at the other. So, if you’re ever in New York, stop by for an awesome adventure. Your bitten friend will turn into a vampire at midnight if you don’t act fast. The one thing that will save them is locked away in the mysterious Castle Ravenloft. Can you recover the vampire serum before your friend becomes foe? A corrupt cop is planning an elaborate heist. You and your team of thieves must break into the police station and retrieve the plans so you can beat him to the bounty. The government seeks to cover up six decades of research that prove the existence of extraterrestrial beings. You and your team of believers enter a remote farmhouse in hopes of saving the precious evidence. Now that we’ve gotten our identity crisis all cleared up, which location will you be visiting? Which adventure will you choose to conquer?